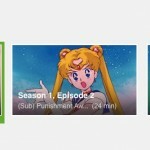 While a lot of Sailor Moon episodes have been released on Hulu and Blu-Ray recently we still haven’t had any recent releases of the Sailor Moon movies in North America. 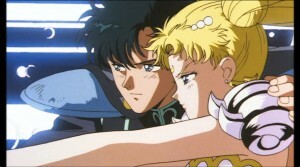 Now you can watch my favourite of the films, Sailor Moon R The Movie, on Netflix Japan. I know what you’re saying! “Adam, you moron, if I lived in Japan I wouldn’t have this problem”. It’s easy enough to browse Netflix with services which disguise your country of origin. I personally use Unblock-Us to do this. That is a pay service but is a good way to access Netflix from any device using DNS. There are many similar such pay services as well as free option. In the past I mentioned Hola.org for browsing Hulu from Canada and I’ve been able to use that to access Netflix Japan as well. Check out this article for other suggestions for options which might work for you. 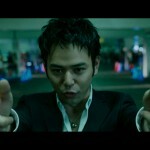 All that said, the movie is in Japanese with no subtitles. 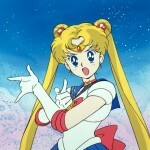 For now only the first movie is available with no indication as to whether or not Sailor Moon S The Movie, Sailor Moon SuperS The Movie or any of the TV series will be made available in the future. The quality is decent and seems to come from the Japanese DVD release. This is a wide screen copy of the movie as the North American release from back in the day was presented in unmated full screen. I’ve included a few screenshots for reference. Needless to say you’ll need a Netflix account to watch this. 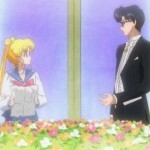 Sailor Moon R The Movie follows the story of Fiore, a young man who has a strong friendship with Mamoru which borders on romantic. He is enchanted by the evil Kissenian Flower which threatens the Earth leading the Sailor Guardians to fight on a massive flower covered asteroid! 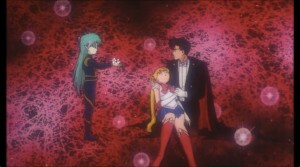 It takes place during the Sailor Moon R season, though it’s hard to situate in continuity. This entry was posted in Sailor Moon Anime (1992) and tagged Netflix, Sailor Moon R The Movie by Adam. Bookmark the permalink. I hope Viz will make an announcement about the home video release of this movie soon since they’ve now released all of the R season on video. 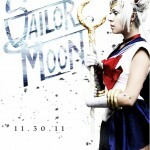 This is my favorite of the Sailor Moon movies and I”m glad I have the ye olde Geneon release on DVD. Fiore looks a lot like An and Ail. I wonder if that was laziness on the designer’s part or they were trying to make a connection of some sort. The Sailor Moon R movie intentionally repeats many visual elements from Sailor Moon and Sailor Moon R (like Chibi-usa with the gun and the cats sitting on the roof worrying about the girls). I’m also pretty sure that the plot of the R movie wasn’t to replace the positive energy of the solar system with negative energy. Did the person who write that summary not watch the movie or at least looked up the synopsis on Wikipedia? 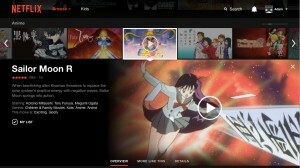 Although it’s interesting that Netflix in Japan places Sailor Moon in the kids’ anime section. I don’t think they would do that if Sailor Moon was streamed on Netflix in America. Man, when did Japan get Netflix? I was there in May and they didn’t have it. With a little digging, you can find all the movies on youtube, full length, one video, and in English or Japanese. I know that doesn’t quench the thirst to own it, but at least you can see it!